A board is a product, project, resource, or organizational structure that is under continuous development, though a board can represent anything and have a variety of uses. Boards have a collection of lists, and lists contain cards. 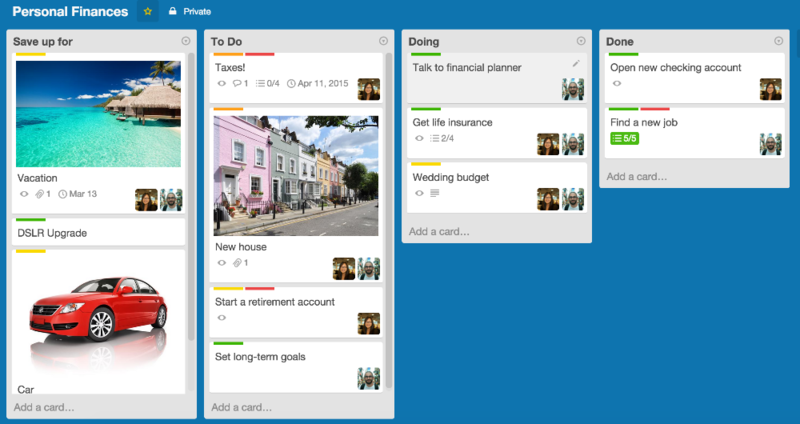 Create a new board by clicking the "+" in the header and selecting "New Board…". 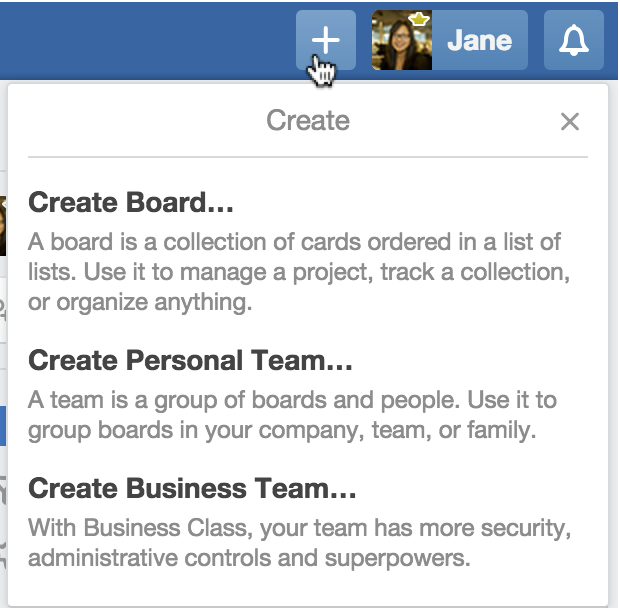 Add a new board, personal team, or Business Class team. Add as many lists as you want. Your board can be about whatever you want! 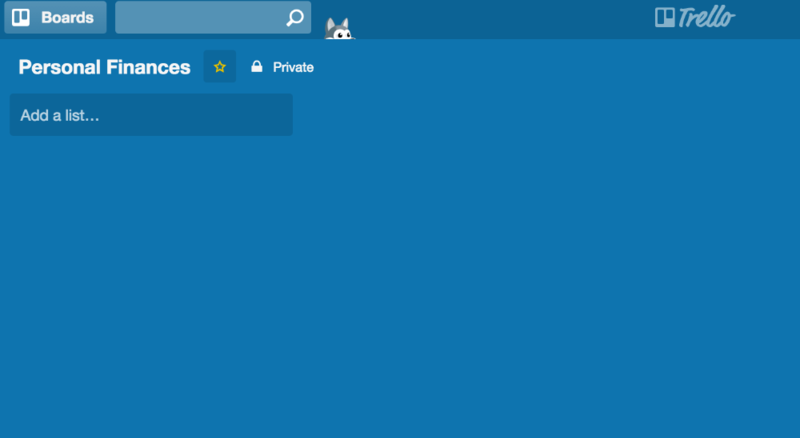 If your board gets too wide to view all at once, you can click and drag the background to scroll horizontally. You can also scroll horizontally by pressing "shift" and then scrolling with your mouse. Pro Tip: Want to add pictures to cards like what you see above? Try attaching an image to a card. This will automatically create a card cover. 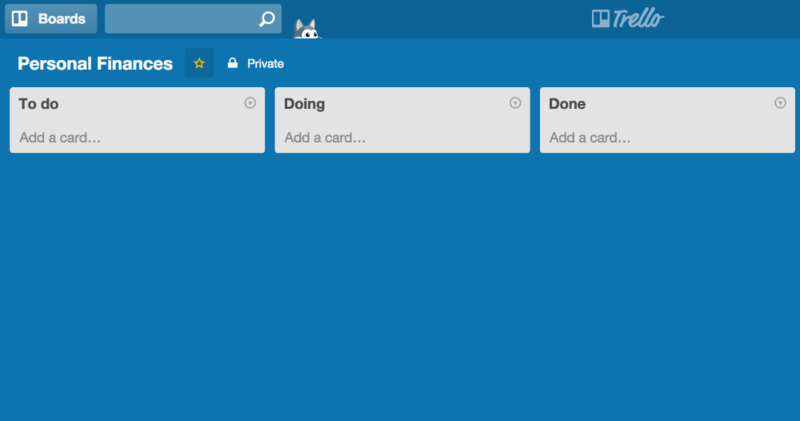 Drag and drop a card from one list to another. Clicking on a card opens the card's back. 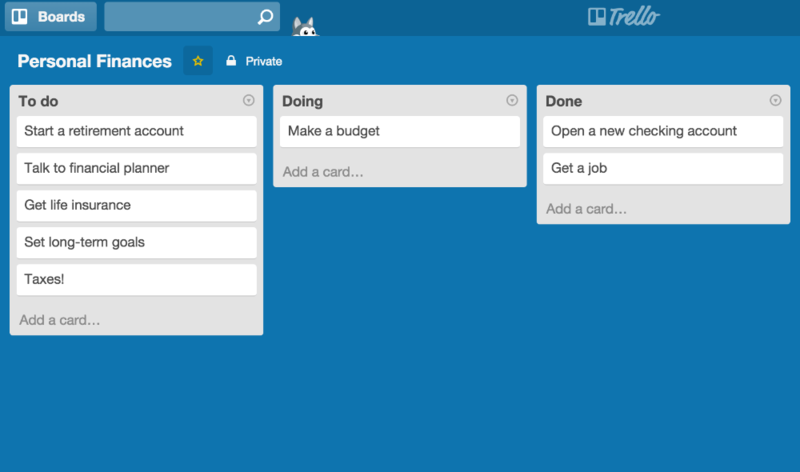 It's perfectly fine to use Trello on your own, but it really shines when you collaborate with others. 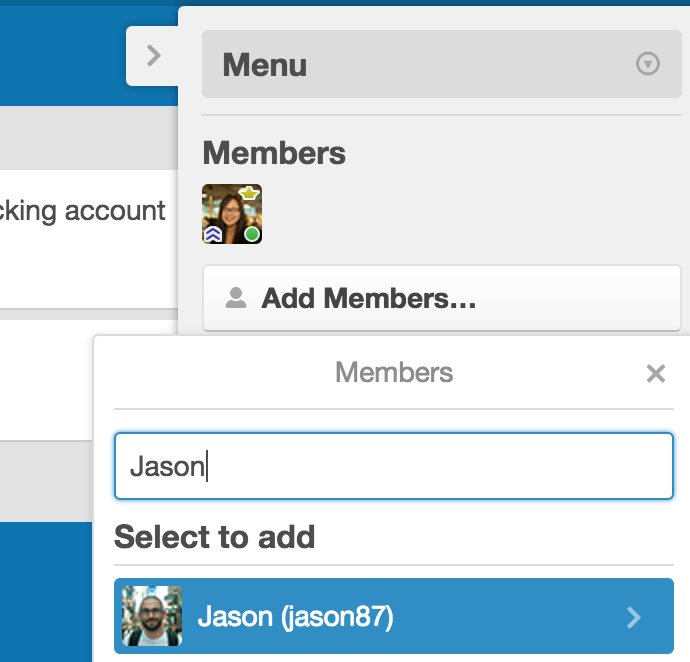 To add members to a board, select "Add Members..." from the board menu. Search for a user by name or enter an email address and click their name to invite them to the board. 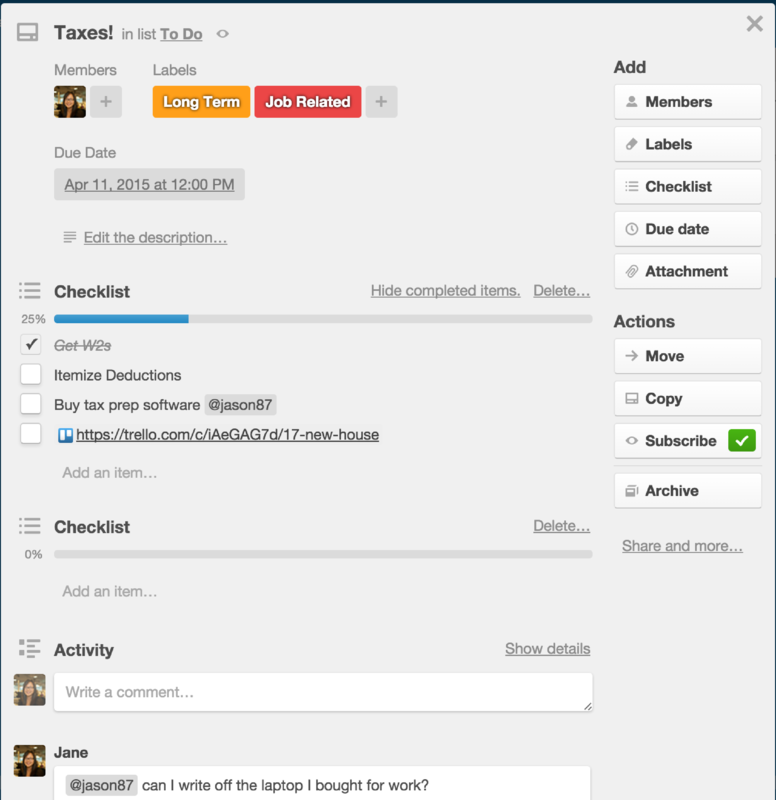 If they are not a member you can invite them to Trello by entering their name and email and by clicking "Send". They must accept the invite before being able to interact with the board (move, edit, add cards, etc.). 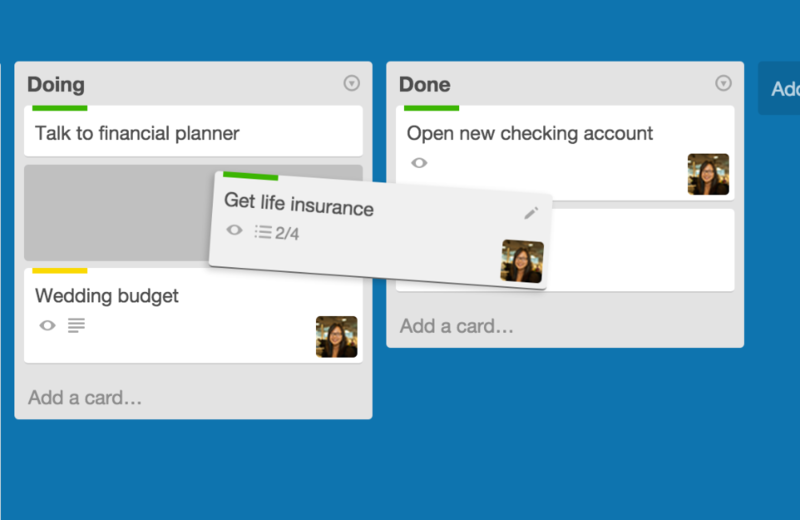 Add other Trello members to your board to collaborate in style.